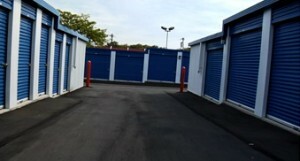 West Coast Self-Storage located in Seattle, Washington and Lake Oswego, Oregon are dedicated to having the most high tech storage facilities in the area. With over 700 units at each location, West Coast Self-Storage has fully enhanced their system by giving their tenants the ability to use their cell phone to get into the facility. “We wanted to offer easier entry solutions for customers” said John Wollam, security installer and owner of Stor-Guard Self-Storage Security Systems. John explained how they wanted give storage renters the ability to access the facility without having to roll down windows at gates or having to get out of the car to manually enter a pin. West Coast Self-Storage thrives on offering the most convenient solutions for their customers and were pleased with how easy it was to integrate smartphone access control into their existing systems.